Jeff Neely, the General Services Administration executive viewed as the ringleader of the lavish spending on a 2010 training conference in Las Vegas, was indicted on five counts of fraud on Thursday by a federal grand jury in San Francisco. The 59-year-old former head of region nine of the Public Building Service faces charges of making fraudulent reimbursement claims and false statements, according to an announcement from United States Attorney Melinda Haag of Northern California and GSA Office of Inspector General Special Agent in Charge David House. If convicted, he faces a maximum sentence of five years imprisonment, and a fine of $250,000 for each violation. Several top executives of GSA were forced out in April 2012 after an IG report detailed how officials spent $820,000 on a four-day conference for 300 that included a mind-reader, an open-bar reception and a bicycle-building team exercise. 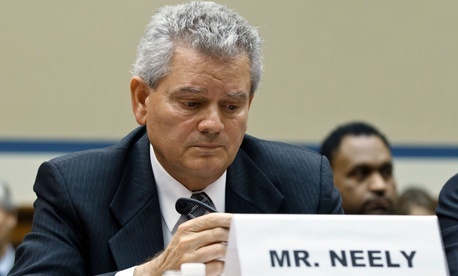 Neely appeared at the subsequent congressional hearings but declined to testify. The GSA IG’s office continued its investigation to this day. In May 2012, Neely, of Gardnerville, Nev., was quietly allowed to resign, though news reports said he had been referred to the Justice Department for criminal charges. He is scheduled to make his initial appearance in federal court in San Francisco on Oct. 20 before U.S. Magistrate Court Judge Elizabeth Laporte.